Blood Sugar Balance Supplement. Control Glucose, Insulin and Cholesterol. HELP AID WEIGHT LOSS: Maintaining proper blood sugar levels can help weight loss. When your insulin levels are too high, your body has a hard time burning fat. KEEP YOUR BLOOD SUGAR LEVELS BALANCED: One of the most important steps you can take for overall health and vitality. 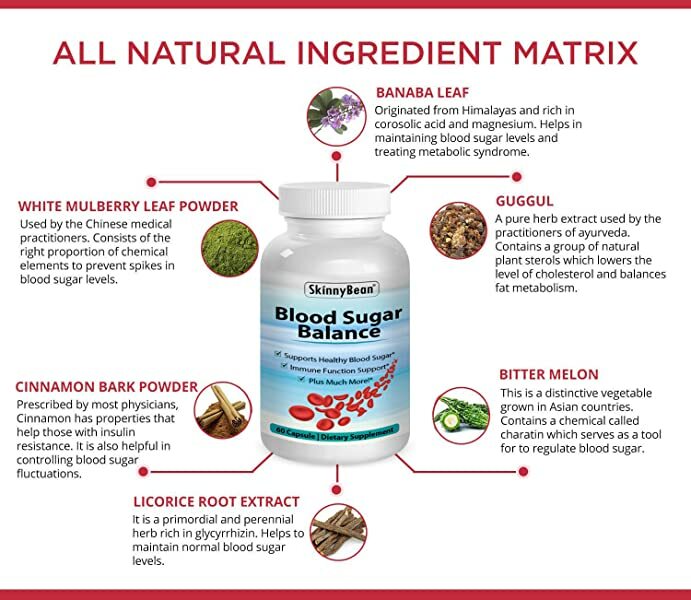 BioScience Nutrition's Blood Sugar Support correct these deficiencies and help restore normal metabolic activity. When you control your blood sugar, hunger pangs decrease and weight loss becomes easier. 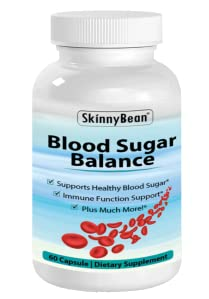 Blood sugar balance is a natrual supplement formulared to enhance the healthy functioning of insulin. Reduce the upward & downward fluctuation in the blood sugar levels & improves glucose metabolism. ❤️ SUPPORT NORMAL BLOOD LEVELS WITH POWERFUL HERBS AND ANTIOXIDANTS: Contains a herbal blend of effective nutrients, vitamins, and antioxidants that are effective in supporting normal blood levels and help you to maintain overall health by fighting free radicals in your body. ❤️ PROMOTES CARDIOVASCULAR HEALTH: Blood Sugar Balance is composed of natural herbs, vitamins, and minerals that support cardiovascular health. It aids in reducing cholesterol and supports well-balanced blood pressure. In promoting healthy insulin function by lowering blood glucose levels, this unique blend may assist in achieving natural weight loss. ❤️ BLOOD SUGAR BALANCE: Is formulated to help the body maintain healthy blood sugar levels that are in the normal range. The key herbs include Cinnamon, Gymnema Sylvestre, Banaba, Bitter Melon, and Guggul. Also added are effective amounts of Chromium Picolinate, Vitamin C, and Vitamin E.
Vitamin C 50 mg, Vitamin E 15 IU, Biotin 300 mcg, Magnesium 125mg, Zinc 7.5mg, Manganese 1mg, Chromium 67mcg, Banaba Leaf (1% extract) 25mg, Guggul 50mg, Bitter Melon 50mg, Licorice Root Extract 50mg, Cinnamon Bark Powder 50mg, Gymnema Sylvestre Leaf Powder 50mg, Yarrow Flowers Powder 25mg, Cayenne Pepper Powder (40M HU/G) 10mg, Juniper Berry Powder 25mg, White Mulberry Leaf Powder 25mg, Vanadium 200mcg, Alpha Lipoic Acid 30 mg, L-Taurine 25mg.